Are you a poet or a writer and want to try your hand at spoken word poetry? Have you dabbled before but not sure where to get inspiration or what makes spoken word different from other kinds of poetry? Maybe you already write spoken word and just want to hone your craft a little. Or MAYBE you have no idea what I’m talking about and you’re just really curious! 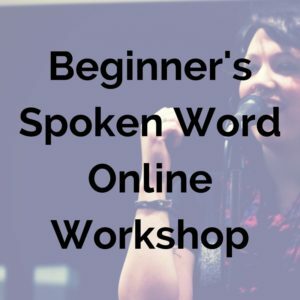 If any of this describes you and you’re a human with a beating heart and internet access, then my beginner-level spoken word workshop is JUST where you need to be this coming Tuesday, August 29th, 2017 at 6:00 PM Central Time Zone. I’m Emily Joy, and I’m a spoken word poet, yoga-teacher-in-training, and creative justice enthusiast. I’ve put out two studio albums of spoken word poetry, successfully pulled off a $10,000 poetry Kickstarter, and competed in the 2014 Individual World Poetry Slam as well as many other smaller slams and competitions throughout the country. Those are my “qualifications,” but my real passion in life is to encourage people to think creatively about justice in their community and use poetry as a vehicle to help others pry open the sacred space to do healing work in their own hearts. My own work and art centers around issues of religious trauma, unlearning toxic theology, purity culture/sexual justice, and creative spirituality—but I’m excited to help you write about whatever it is you need and want to! 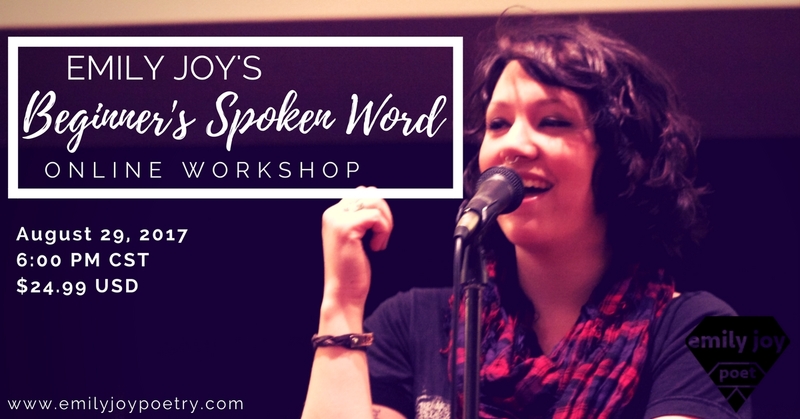 This online workshop is just $24.99 and in addition to the workshop every attendee will receive a download code for my album of spoken word poetry All Prodigal Daughters & Sons. Register today at by clicking the “Buy Now” button below!